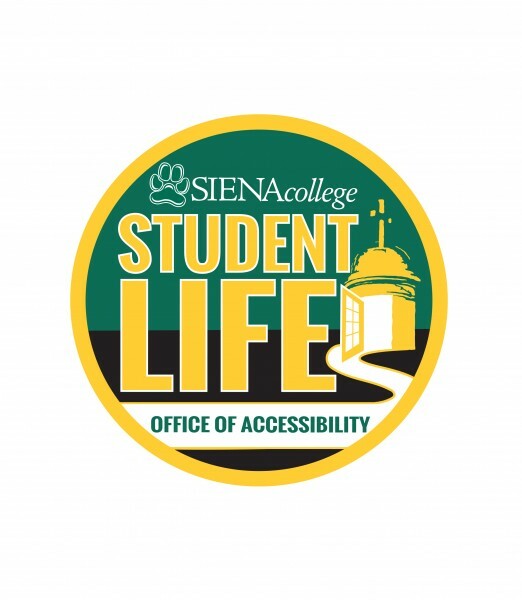 The Office of Accessibility promotes Siena’s commitment to a student-centered education within an environment that affirms the uniqueness and diversity of each individual. The office provides advocacy for and accommodations to students with disabilities in order to ensure equal access to educational opportunities and to empower student self advocacy. Our office works to enhance the mission of Siena College and acts as a liaison for students with disabilities within the college community. The office ensures compliance with responsibilities under Section 504 of the Rehabilitation Act of 1973 and the Americans with Disabilities Act of 1990 and current amendments. Accommodations are granted to students who have registered and provided current and relevant documentation of their disability and accommodation needs to the office. All information disclosed is considered confidential and will not be released without the student’s permission. I look forward to working with each of you to help make your time at Siena a success! 1. Complete the forms below in full and return them to the Office of Accessibility. 2. Provide recent documentation of your disability which details your functional limitations and accommodation needs. Documentation should be forwarded from the student's high school, certified psychologist, licensed or otherwise properly credentialed professional. 3. Upon request of the above mentioned documents, the Director will determine the accommodations to be granted and contact the student directly. Siena College makes every effort to follow AHEAD's most recent guidelines regarding disability documentation. All documentation and information obtained by the Office of Accessibility during the registration process is considered private. As part of the registration process, students are asked to complete release forms detailing authorization for information release. Mon. – Fri. 8:30– 4:30 p.m.
Mon.-Thur. 8:00 – 4:15 p.m.